Become a certified yoga instructor…on your OM time. Comprehensive, interactive, online course with Alanna Kaivalya, Ph.D.
HAVE YOU FELT THE CALLING? We want to make you a yoga teacher. An adept, exceptional, qualified yoga teacher, trained in the foundations of the practice, yoga philosophy, postures, sequencing, anatomy and therapeutics. All from the comfort of… anywhere. We’ve launched the first ever The Kaivalya Yoga Method Online Yoga Teacher Training Program, a 500 Hour comprehensive course taught by one of the most powerful and prominent figures on the yoga scene today: Alanna Kaivalya. Upon completion, you’ll join an elite group of graduates who are some of the most influential, committed, successful, and qualified teachers in their community. 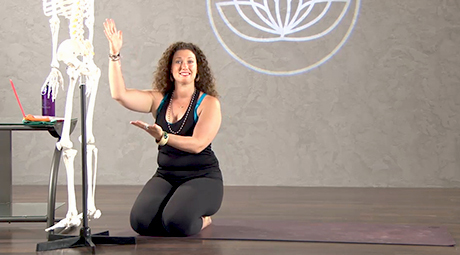 If you’ve ever felt a calling or curiosity to teach yoga, THIS IS YOUR SIGN TO DO IT. Sign up below to get our comprehensive prospectus. We’re here to help you through making the best decision possible about your career as a yoga instructor. Your practice of asana has evolved into an exploration of meditation, pranayama and/or philosophy. Let’s face it, you can’t fit any more yoga books on the shelf! All of this learning is done online, at your own pace through high-quality video, audio lessons, reading assignments and engagement with our educators as well as engaging content that prepares you for tests that measure your successful learning of every topic. Learn key anatomical structures along and alignment principles that foster understanding and the safe application of asana for a wide range of considerations and abilities. Whether it be to deepen a posture, modify it for a beginner or address a specific issue, learn to profoundly connect with students on a variety of levels. With your dynamic insight into the energetic structures of the body (including the chakras), you learn how to teach masterfully sequenced classes that foster the highest aim of yoga and inspire students. Learn the complete varied and rich history of yoga, while studying its essential texts in such a way that you thoroughly understand the material and are able to apply it – and teach about it – in a modern context. By developing a well-rounded class, utilizing the power of the web, and increasing your business acumen, this module provides everything needed for a successful teaching career. Develop your own meditation practice, learn the significance of Sanskrit, mantra and chanting, while diving into their corresponding myth and meaning. All the topics throughout the program are covered in-depth through Alanna’s lectures. Her vibrant energy, breadth of scholarship, and lighthearted humor keep you actively engaged with more than 100+ hours of video learning. Every element of this course is written down for you. Consider your extensive notes…already written! All the content is easily understood, and all the details are covered. With more than 300 pages of content featured in the course, you are sure this hefty online resource keeps you informed. Your day-to-day experience includes constant interaction with our team of lead mentors. All trained and certified at the highest level with plenty of continuing education, they have much to offer! You’ll get helpful, constructive and encouraging feedback on every test you submit, allowing you to grow into the best teacher you can be. Our course is as interactive as it comes. Participate with us daily in our private Facebook group, on regularly scheduled webinars, and via email. Alanna and her team are here for you 100%. Ask any question, and get all your answers whenever you need them. Throughout the course, you upload videos of along the way. In this way, you are held accountable for every element of your learning, and you are never left behind. We ensure the optimization of your growth and development as an instructor as we watch you progress. Throughout the course, you engage in classes which features a wide array of skilled teachers that enhance and diversify your experience. You read key texts and write reports to demonstrate your understanding. You also put your creativity to work by creating sequences that integrate your skills. Upon completion of the teacher training program, you have met our rigorous standards and become a Certified teacher with The Kaivalya Yoga Method®. You are eligible for a listing on our exclusive website that features our esteemed teachers. Download the comprehensive prospectus to learn all about the program, take a peek at the inside of the teacher training and get all your questions answered. Prepare to have a dynamic, personalized, unprecedented and unparalleled experience as a yoga teacher trainee. Throughout your process, you interact with and receive feedback from our esteemed mentors, all of whom have been trained at the highest level. As you move through the course, you are asked to submit both written and video assignments that demonstrate your skill and knowledge of how to teach elements of a yoga class, eventually teaching a full class that is bolstered by all the knowledge you gain throughout the program. The mentors come to you with the depth and breadth of knowledge necessary to offer you the most supportive, constructive and uplifting feedback to transform yourself into the kind of yoga teacher you always wanted to be. Anatomy & Alignment: presented through an exclusively yogic lens. You learn key muscle, bone, joint and connective structures along with terms of movement and alignment principles that foster both understanding and the safe application of asana for a wide range of considerations and abilities. Vinyasa, Sequencing & Subtle Body: containing the essentials of how to safely sequence a vinyasa class, and takes this knowledge further by giving you the insights necessary to sequence in accord with the more esoteric and energetic principles that fuel yoga’s transformational power. Through learning the subtle anatomy (including in-depth work with the chakras and koshas) you gain an experiential understanding of the deeper layers of the body that fundamentally shift how you harness the power of asana practice. Teaching Techniques, Building a Business & Being a Professional: learn the tips, tools, technique and strategies you need to develop and hone your skills as an exceptional yoga instructor. Through refining your cues, to developing a well-rounded class to utilizing the power of the web and increasing your business acumen, this module provides everything you need to embark on a successful teaching career, not to mention leading stellar classes that students never forget. The Art of Adjustments: learn the essential skills of connecting with students through hands-on adjustments. Whether it be to deepen a posture, modify it for a beginner or address a specific issue, injury or concern, you learn what is required to deliver adjustments that allow you to profoundly connect with students on a variety of levels. Philosophy, History & Theming: offers the skills and lexicon needed in order to convey complicated yoga philosophy with ease and finesse to a modern day audience. Understand how the history of yoga has developed and how we move it forward by honoring the timeless tradition today. Through your study of essential yoga texts, you learn what it takes to embody the core philosophy of yoga and become a yogi living in the modern world, as well as how to give compelling dharma talks. This module also gives you the skills necessary to build your classes around a theme in order to educate the body, mind and spirit of the students who come to your classes. Meditation, Myths & Mantras: unlock the power of sacred sound and the profound practice of meditation. 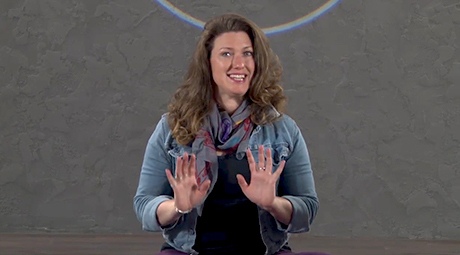 This module not only teaches you how to develop your own meditation practice, but also how to teach a variety of meditations to others. You learn the significance of Sanskrit, mantra and chanting while going through their corresponding myth and meaning. 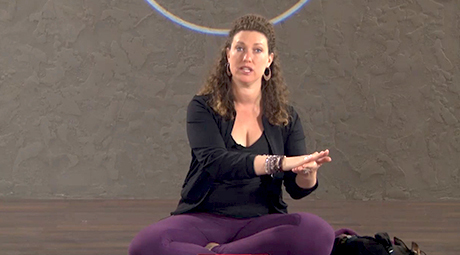 Included in this module are both of Alanna’s books: Sacred Sound: Discovering the Myth and Meaning Behind Mantra and Kirtan, and Myths of the Asanas: Stories at the Heart of the Yoga Tradition. Final Teaching Culmination: gain access to this module upon successful completion of all other modules in The Kaivalya Yoga Method Teacher® Training. This final module gives you the opportunity to test your comprehensive knowledge of all the topics covered in the program, and also asks you to upload a video of you teaching a full 60 minute class in The Kaivalya Yoga Method®. Upon successful completion of this course, you are officially a certified Kaivalya Yoga Method® Instructor. Looking for a shorter program? Learn about our 200 Hour and 300 programs and individual classes. Alanna Kaivalya believes Yoga is for everyone and with the right guidance, every student can develop the independence and self empowerment needed to embark on a personal journey to meaningful transformation. It is dedication to these principles that inspired Alanna to begin The Kaivalya Yoga Method®, a fresh take on yoga that emphasizes the individual path of the modern person while honoring the time-tested tradition. Teaching students since 2001 and teachers since 2003, Alanna has written, developed, and lead teacher trainings around the world since. Her ability to make the complex accessible and to enliven material with myth and story has lead top studios nationwide to commission programs for their own use. With TKYM, she teaches her own unique training programs at both the 200 and 300-hour levels. She holds a Ph.D. in Mythological Studies with an Emphasis in Depth Psychology from Pacifica Graduate Institute and has authored numerous articles and papers as well as thtree books: Myths of the Asanas: Stories from the Heart of the Yoga Tradition (Mandala Publishing, 2010) is a wildly popular go-to guide for practitioners who are interested in the stories of the origins of beloved poses. Sacred Sound: Discovering the Myth and Meaning Behind Mantra and Kirtan (New World Library, 2014) is the quintessential yoga “hymnal” for today’s most popular chants and mantras, illustrating their powerful role within our modern practice. Her third book, Yoga Beyond the Mat, is a guidebook showing practitioners how to make yoga their spiritual practice. 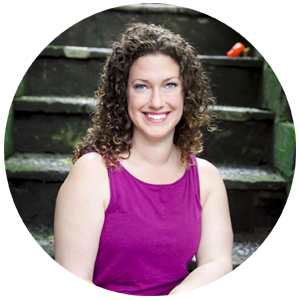 Alanna has taught for Yoga Journal Conferences, The Omega Institute, Kripalu, and Esalen retreat centers. She has been featured in Yoga Journal, Origin, Mantra Magazine, Yoga International, Sweat Equity, Mindful Magazine and many others throughout her years of practice. In 2007, she had the esteemed honor of being elected to Yoga Journal’s top 21 teachers under 40 list. Alanna has appeared on Fox’s Varney & Co., Walk the Talk Show on Elephant Journal, HuffPo Live! as well as many other media outlets. She regularly contributes to publications such as Huffington Post, Elephant Journal, and Well + Good. Her website, alannak.com, features an exhaustive body of content diligently compiled over many years to provide access to high-quality resources and education for yoga practitioners in any location. In 2005, her first podcast, and the first by any yoga instructor garnered over 2 million listeners. She is currently working on a third book. She lives in New York City with Roxy the Wonderdog. Find out more at alannak.com. Andrew, an athlete at heart, found yoga through a number of sports-related injuries. Yoga has taken him throughout the U.S. & Costa Rica and is currently based out of the New York City/New Jersey metro area, teaching out of Equinox Health Clubs. 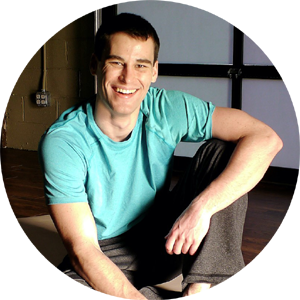 Andrew teaches The Kaivalya Yoga Method®, designed by Alanna Kaivalya. He has also studied extensively with NYC-based instructors KayKay Clivio & Yogi Charu of PURE Yoga and Jill Miller, Founder of Yoga Tune Up®. For more info on yoga goodies from Andrew, visit yogavibestudio.com. Patricia Panasri is an experienced Alchemical Astrologer and 500hr certified yoga teacher with The Kaivalya Yoga Method. 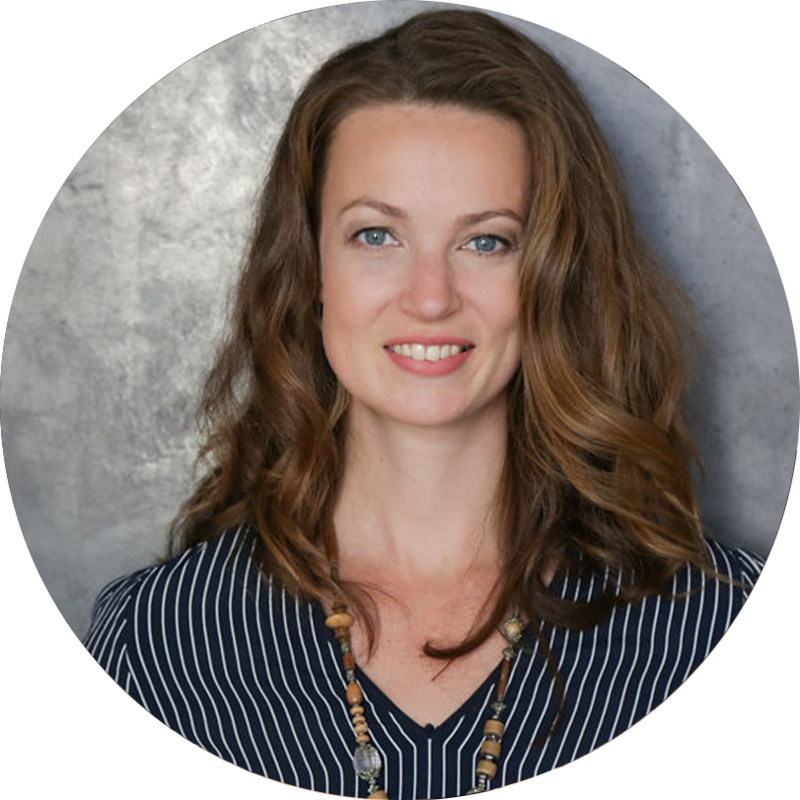 She specializes in working with entrepreneurial women to reconnect to the flow state by honoring the natural cycles of life. She travels all over the world, has lived in Thailand for 6 years and recently settled down in the Netherlands with her husband and two kids. Patricia is the lead Mystics Mentor for the Modern Mystic’s Academy, the Upward Facing Business Academy, as well as a mentor for The Kaivalya Yoga Method Teacher Training. We recommend completing the course in 5-6 months, but you have 12 months to complete your course material online. Within that time, you can review the lectures, materials, interact with mentors, connect with other students and continue your knowledge as you progress through the course. After the course, you will have access to the course materials in a special section of our training site where you can review materials, connect with other graduates and further your education. Upon successful completion of The Kaivalya Yoga MethodTeacher Training at the 200, 300 or 500 hour levels, you are certified in The Kaivalya Yoga Method. We have a dedicated and searchable website for our certified teachers which feature your bio, teaching schedule, and contact information so the world can see that you’ve met our rigorous testing standards and demonstrated your ability to lead stellar classes for a wide variety of students. These are unique features that we are able to bring you given the online format of this program–a format that allows us to make teacher training available to those who would otherwise not be able to attend one–and does so without sacrificing the depth, breadth, and experience that immersing yourself in yoga offers. 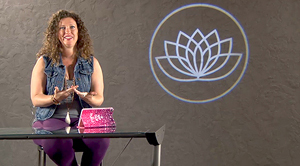 This course is Alanna’s previously-offered 200 and 300 hour live trainings….now offered online with expanded teachings, enhanced personal connection and feedback. It includes far more content than is ever possible in a live training format. *Even though this online training exceeds common 500 hour standards, it is not registered with Yoga Alliance. More details are below in the Yoga Alliance frequently answered question. A webcam, camcorder, or video capture capability on your smartphone or other device as you will need to submit videos to us as part of your coursework. A decent internet connection to be able to access the course materials. You will need to purchase two books in addition to the price of the program: Sacred Sound and Myths of the Asanas. More info regarding this will be provided after registration. Proficiency with English is recommended, as all instruction is given in English. Is there a course outline syllabus I can view? Yes, click here to view the Online Yoga Teacher Training course syllabus. Can I preview the program to see what it's all about? Yes, click here to participate in a preview of the program. You can pay with a credit card during our secured checkout process. All pricing is listed in US dollars and payments will be automatically be converted to US dollars if you are paying with another currency. Yes! We have payment plans for the 200, 300, or 500 hour programs where you are automatically billed monthly payments over 6 months. Simply choose the payment plan option upon secure checkout. 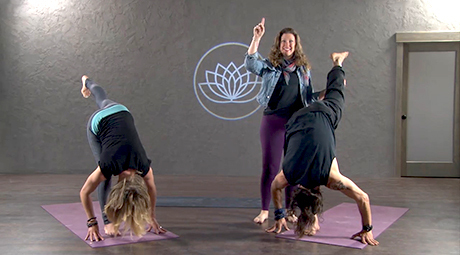 This course is Alanna’s previously-offered, Yoga Alliance registered 200 and 300 hour live training, now offered online with expanded teachings, enhanced personal connection and extensive engagement and feedback. It includes far more content than is ever possible in a live training format. This Kaivalya Yoga Method Teacher Training is not currently registered with Yoga Alliance. Though we work together in this course for well over 500 hours and are in constant contact with you as we provide a highly personalized experience, Yoga Alliance has informed us that according to their interpretation of “contact” hours, working online does not qualify for “contact” hours. We humbly disagree. None of these are required by Yoga Alliance, nor are they common among other teacher trainings. We, the developers and most importantly, you, the students, are adopting a new use of technology. As those to first use electricity faced adversity from those attached to the familiarity of the oil lamp, we are pioneers moving the potential of yoga forward–both into the future and to those who would not be able to participate in a teacher training in a traditional format. We will keep the dialogue with Yoga Alliance open in an attempt to change their minds, however, your path to becoming an impactful yoga teacher will not be affected by their decision. Yoga Alliance is a registration body, similar to that of a trade organization. They do not certify teachers, nor do they test or require anyone to meet any of the standards they set. Because we recognize certification is important to you, we have created our own Kaivalya Yoga Method certification program. Completion of this course certifies you as a Kaivalya Yoga Method Instructor. Your registration fee is included with the cost of this training, and you are never charged a yearly renewal fee. We have a website where your bio, teaching schedule and contact information are featured so the world can see that you’ve met our rigorous testing standards and demonstrated your ability to lead stellar classes for a wide variety of students. This is our sincere and grateful attempt at highlighting our approved teachers and providing you the chance to shine within our powerful network of teachers and students. Discover our certified graduates here: certifiedteachers.yoga. Together, we will show the yoga world the power of online education and the strength of the community that binds us. If you have any further questions please do not hesitate to contact us at: tt@alannak.com. This prospectus gives you an overview of each of The Kaivalya Yoga Method® Teacher Training modules so that you can see how dynamic and thorough this course truly is! “As a Movement Specialist with a successful private business and long list of pre-existing credentials (including yin yoga) I wanted to add a yoga certification. I am a serial education geek, but I carefully choose my teachers: I’m looking to learn from someone who I truly believe can enhance my own mind and body approach, in order to make me a better human and a better practitioner. I thusly found myself, as I often do, researching options. I wanted to study from a best-in-class teacher, but I also didn’t want to close my business for a month. Alanna’s reputation, plus the “practical” benefits of online learning won me over. It is so much more than any video or pamphlet implies. We have honest access to the mentors and to Alanna (when they say that, they mean that), and the course structure demands legitimate accountability for learning the material in a way that doesn’t even exist in most “real life” courses. The course structure means that you can’t just check the boxes and graduate – you have to do the work and you get actual feedback along the way.